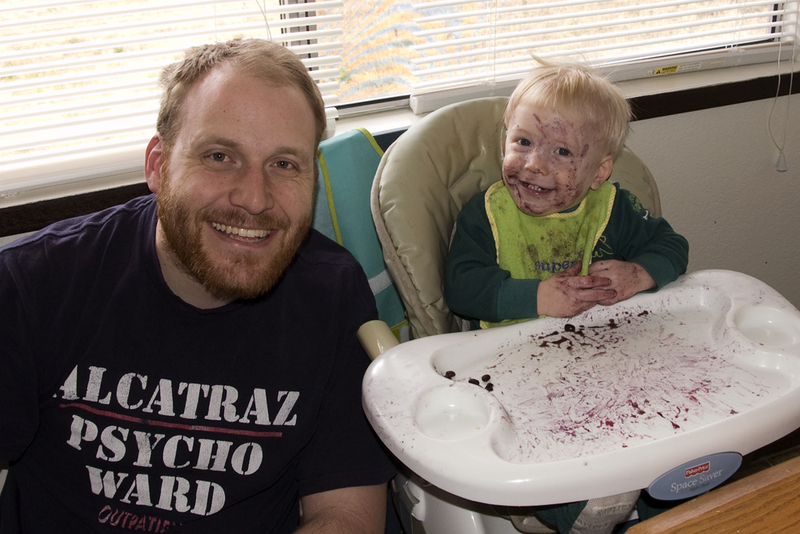 Why yes, Daddy, I do like blueberries! As you can see, he's pretty much his normal self! Almost seems like a meal you need to feed him while he's naked in the bathtub. Just hose him off when he's done. Mmm. Blueberries. One of my favorite fruits! I like to eat them alone or on top of pancakes, cereal, yogurt, etc. OMG! That looks like a lot of blueberries! Btw, love your husband's shirt! LOL!